Lise Meitner – the forgotten woman of nuclear physics who deserved a Nobel Prize....For many years, physicists believed it energetically impossible for atoms as large as uranium (atomic mass = 235 or 238) to be split into two. That all changed on Feb. 11,1939, with a letter to the editor of Nature – a premier international scientific journal – that described exactly how such a thing could occur and even named it fission. 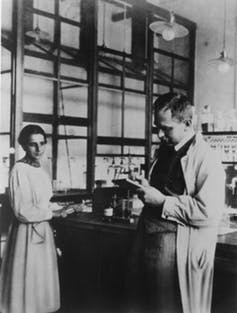 In that letter, physicist Lise Meitner, with the assistance of her young nephew Otto Frisch, provided a physical explanation of how nuclear fission could happen.